Many children experience traumatic events in their lives that ultimately affect their ability to cope with stress. Lila was certainly no exception. When she entered treatment at CoveCare Center as a teen, her parents had undergone a divorce, older siblings were struggling with disabling conditions including substance abuse, and the family was experiencing significant financial difficulties. She was showing signs of depression, would superficially cut her arm in order to feel something different than sadness, and would frequently end up in the hospital for inpatient stays. Physically, she struggled with her weight, had noticeable dental issues, and poor hygiene. Lila began regular therapy sessions with a social worker at CoveCare and saw the on-site psychiatrist for medication to treat her depression. Her therapist focused on a variety of issues and themes including taking care of her health and physical appearance. The CoveCare therapy team assisted her and the family to locate an appropriate dentist and Lila was able to get her teeth fixed, which made her feel less self-conscious and more confident. They also discussed her plans after high school and, again, provided very specific assistance with exploring colleges and completing applications. Lila enrolled in further education, and did well in all her classes. 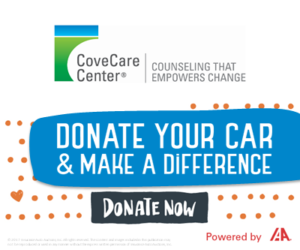 In addition to the concrete help, the CoveCare therapist would also engage in talk therapy to help Lila engage in healthy relationships, have better ways of communicating with family and friends, advocate for herself, and strengthen her ability to cope with overwhelming feelings. At the point of her discharge, Lila was well on her way to achieving her life goals. She is continuing her education, but has also obtained a part time job. The income enabled her to move out of the family home into a shared apartment. While life will continue to present challenges, Lila feels she is in a better position to cope due to the skills learned in therapy at CoveCare Center as well as currently having a new support system within the school and with her peers.